Friend: You know that takes like 24 hours to work and taste good, right? Me: Um, no…(defeated moment of silence)…wait, what if I just get a baby watermelon and soak it- that will work right?! Friend does not respond because friend knows I’m just going to do as I please. Plus, I’m known to be impatient in the kitchen and even hover by the oven as if that will make it cook faster. If you don’t want to carry a small crop of baby watermelons into a party, I recommend that you plan ahead and make one large watermelon instead. Honestly, this is the SIMPLEST thing to make. And I promise you, if you bring this to a picnic or party, people will think you’re brilliant. Just make sure that you keep this adult watermelon away from small children. Kelsey Krasnigor can be seen riding her bike around Santa Cruz with a bounty of watermelons in her bike basket. Cut a small circle (like a plug) on the top of the watermelon and hold onto it. Pour the Vodka in using a funnel if necessary, and put the plug back on top. 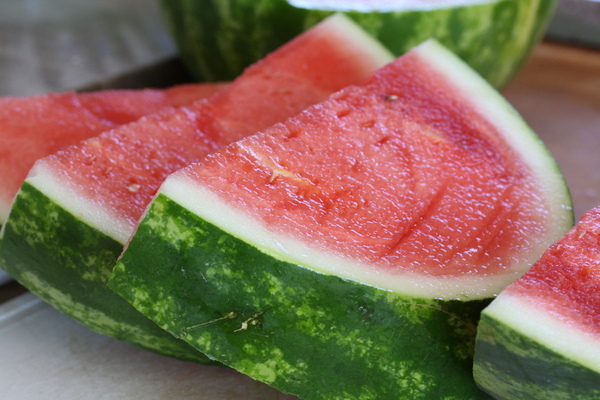 Let the watermelon sit in the fridge and soak for 12-24 hours (the longer, the better). To serve, cut up the watermelon as usual and enjoy! Categories: Blog, Drinking, Featured, and Recipes. Cooking Method: At the Dining Hall and No Cook. Mealtime: Drinks and Late Night. I'm Cooking For...: BBQ, Fourth of July, and Picnic.